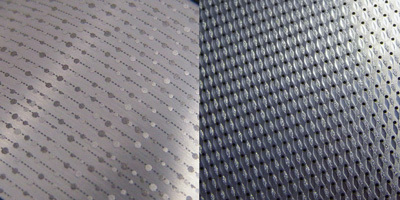 Metallic inks are an attractive option for aluminum finish development. 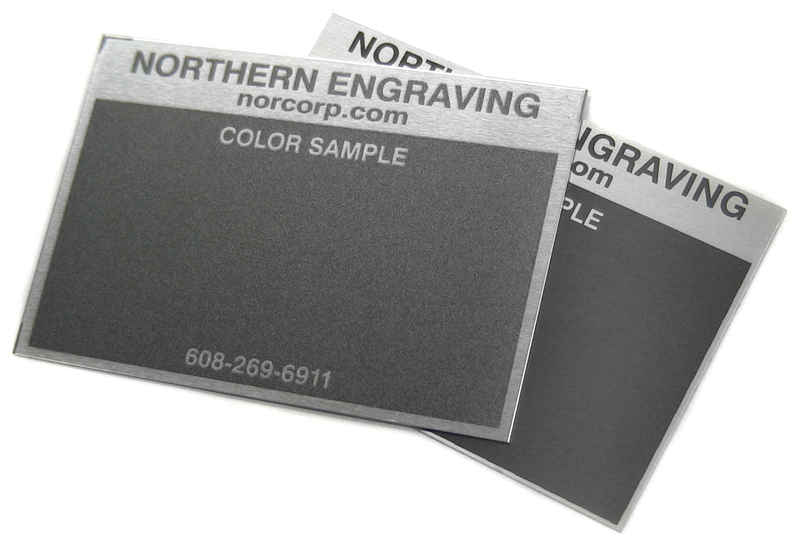 Available in a variety of colors with the ability to be integrated into backgrounds or graphics, they offer visual and tactile texture. 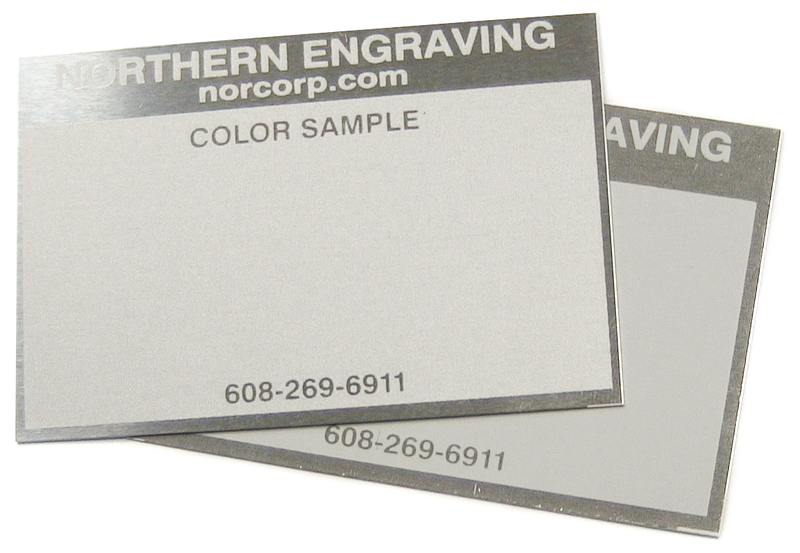 Whether placed in contrast to brushed or bright aluminum or complimenting opaque and transparent colors, the use of metallic inks can complement and increase perceived value for the end product. Understanding the options and limitations in a process allows you to fully utilize it. This article is an excerpt from our Color Specifying for Product Identification eBook discussing some considerations when choosing colors to be matched in a metallic ink. 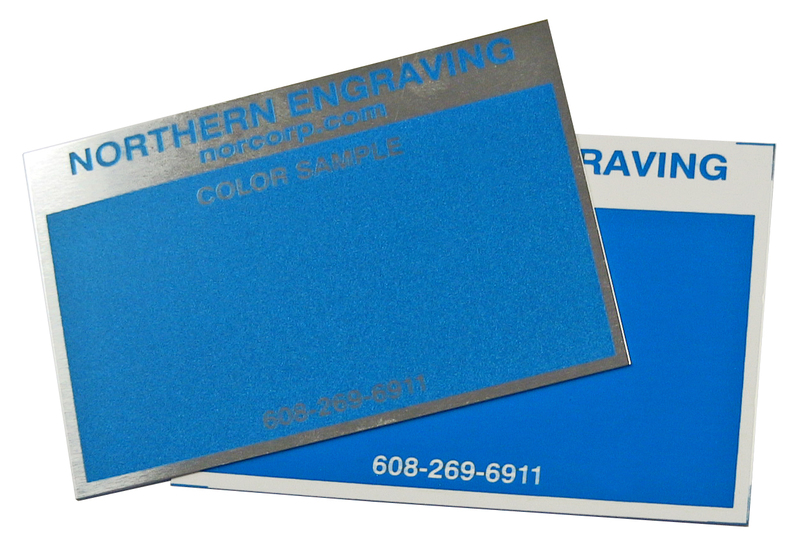 Metallic colors, commonly used in the background of nameplates or decorative trim, rely on metal pigments (flakes, powders, or pastes) added to color formulations to create options ranging from fine to coarse metallic effects. The most popular choices are low gloss metallic silvers and grays used in contrast with high gloss graphics. Metallics create an etched appearance and can be effectively used in graphics. To ensure success, it is critical to understand the limitations in developing certain colors into metallics. Grey successfully translates into numerous metallic effects. Typically another metallic color is referenced when specifying how coarse the metallic should be. 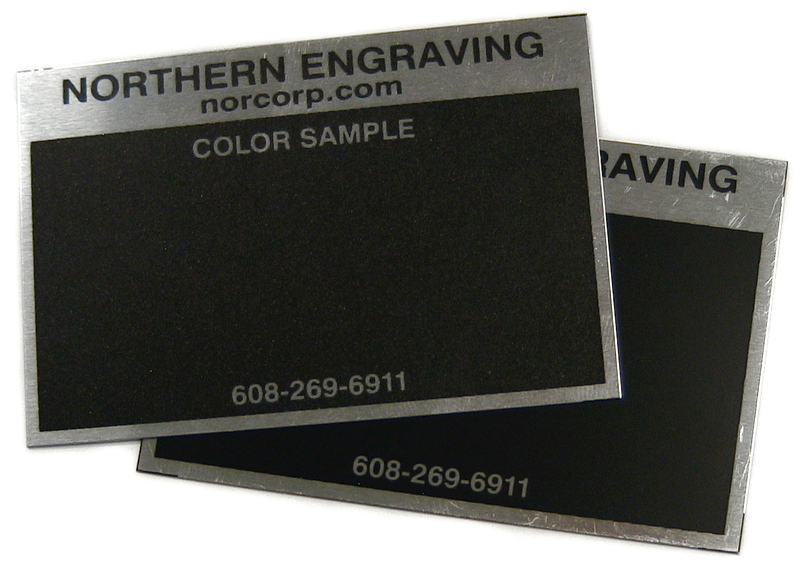 Black is an opaque color; therefore adding any metal pigment impacts black making it lighter. The more metallic added to black, the lighter and less black it becomes. White is similar to black in that adding any metallic pigment to white impacts the color. Metallic pigments added to white darken the color. The more metallic pigment added to white, the greyer it becomes. Adding metallic pigments to saturated colors begins to grey the color and lighten it. The result is a less chromatic color. Metallics are just one avenue for printed color used to create eye-catching finishes. An attractive option is to match a color as both a transparent tint and a metallic color combining them into one finish. Have more questions about metallic color development for aluminum finishes? Let's talk!